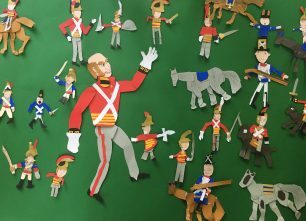 We invite teachers and parents to download and use this activity to teach children how to make articulated figures for 2-dimensional animating. Glue may be used to attach details on clothing and hats. Articulated limbs should be attached using Blue-Tack to allow for their movement.